Many times in the 5Q conversation, we talk about gifts (Eph 4:7) and then go straight to what the gifts are (4:11). We do the same thing at Christmas, but we’ll save that post for another couple of months. Today we are going to decode some Klingon. We get the word ‘grace’ from the Greek charis. There’s no problem with the translation, but it also means ‘gift’; something given that was unearned, undeserved. In the aftermath of Hurricane Harvey, I am really understanding charis on a very practical level: people showing means of support beyond our imaging or means to repay; love in grace-filled forms that transforms the rhythm of our hearts; friends driving hundreds of miles to work alongside of us; acquaintances lifting the weight of our lives to help us move forward; gifts that replace the things lost to the flooding. It’s humbling and invigorating, kindness and…well, grace. It’s all a gift. Paul is saying that Jesus has given to his Body gifts that we had no right to expect, no reason to demand and every freedom to exercise. So let’s take a look at verse 8. Oftentimes, when I illustrate a point I want to make, I quote somebody else who said it clearly. For instance, someone might say, “How’s life after Harvey?” I might respond in the immortal words of ChumbWumba, “I get knocked down, but I get up again! You’re never going to keep me down.” Doesn’t everyone? Paul is explaining how Jesus gave these gifts to the Church and to do so, he looks back to Psalm 68 (it’s in your Study Bible notes). Psalm 68 is a song of victory, painting a picture of what it looks like when a King wins a battle and re-enters his home town. Historically, a king would go out to battle. After he won, he would allow his troops to plunder and gather the spoils and riches to bring home. They would also put royalty and officers in a chain gang and march them back, in a long processing train, into their city so that the victorious people could see the enemy brought low. During this procession, the king would also throw a portion of the spoils out to the people, to share the victory with them. If it helps, you can think of the end of Disney’s Aladdin. This is the kind of spectacle Paul is imagining. Not because he is dreaming, but because elephants were, like, a thing! So how does this all fit together? How does Paul quoting Psalm 68 help the New Testament Church understand their identity in Christ? Paul takes that common first century image of a king going out and back (horizontal), and turns it vertical, he uses it to describe Jesus descending to earth, fighting evil on the cross and descending into Hell to defeat Satan and then ascending back through earth on his way to Heaven. Jesus, the Son of the King, the prince, is the one, who fought the battle and now he is graciously giving gifts out to his people, the church, so that we can celebrate with him, share in the victory, and be united together with him in receiving the benefits of his victory. 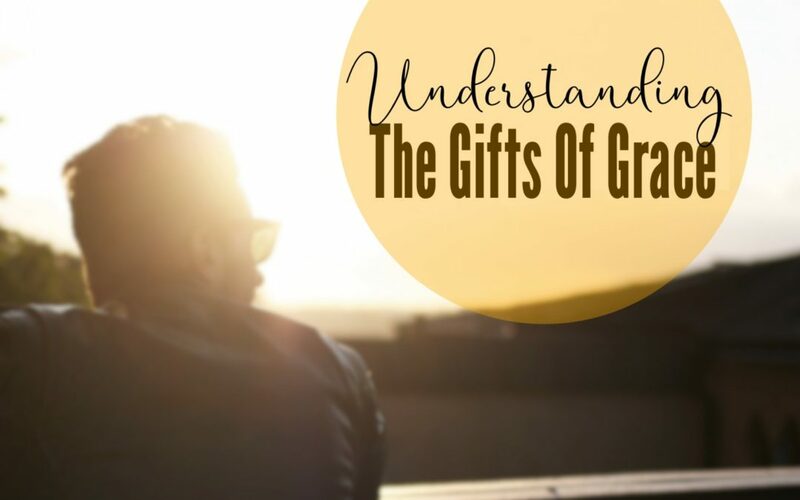 So we get the benefit of salvation, the enemy is defeated, but apparently we also get grace-gifts from this treasury that Jesus has redeemed, or reclaimed from the enemy. So, you see the movement? The crucified Jesus descends into the earth, defeated death, the enemy, and returns a conquering king with all the splendor of Psalm 68, sharing the grace-gifts with his Body, the Church. His ascension marks those gifts as an inheritance, a permanent mark of Heavenly grace. The 5Q/APEST functions are gifts that are given in Christ’s victory over death, therefore they are the gifts of life. These gifts are the DNA source code of the Church OS. Hopefully, we have de-Klingon-ed some of that passage and given you some room to see 5Q in an even fresher way! In verses 8-10, Paul sets us in the middle of a triumphal parade, where Jesus is returning after his victory over death, sharing the spoils of life, the core DNA of the Body of Christ that will remain on earth. In verse 11, Paul shares what those gifts are: Apostle, Prophet, Evangelist, Shepherd, Teacher. In verses 12-16, the Apostle shares what those gifts are ultimately supposed to do. We will pick up there in the next post.